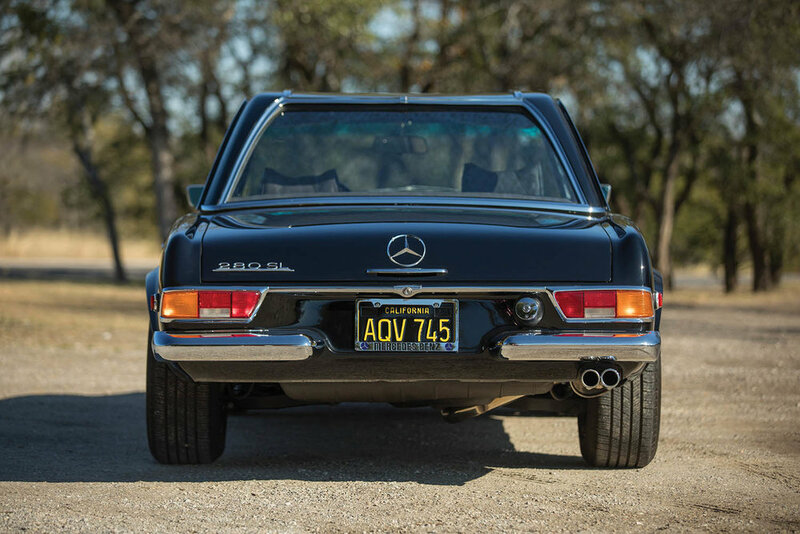 Lurking under the skin of this striking triple-black classic is a contemporary Mercedes drivetrain that transforms this car’s performance from pedestrian to exciting. 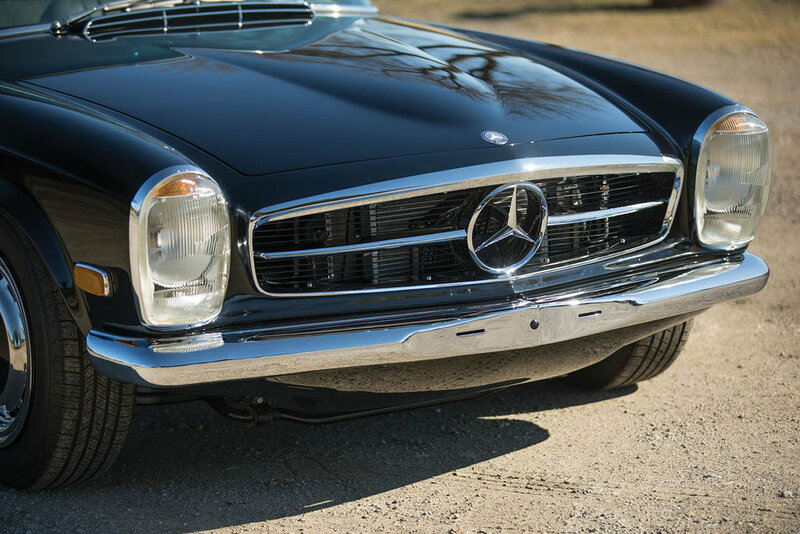 The current owner of this 280 SL desired the power and handling capabilities of a late-model Mercedes without altering the original classic esthetics. 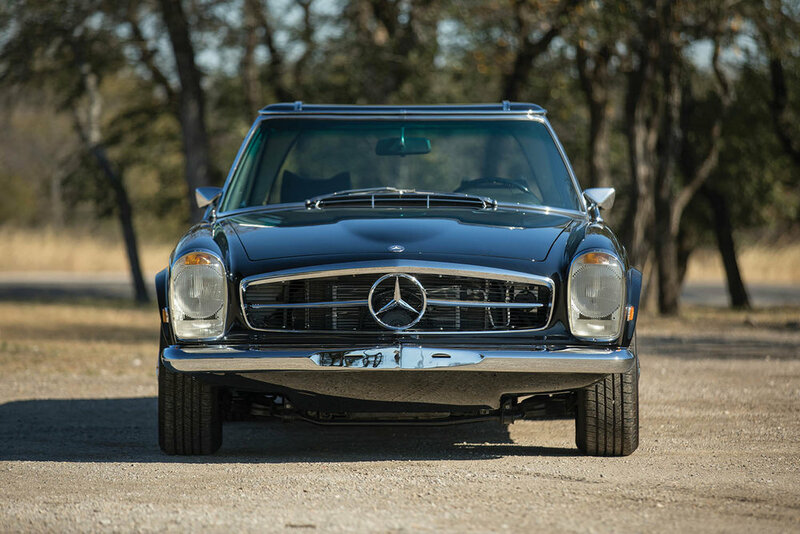 To this end, the car was brought to a Mercedes specialist to merge the old with the new. The project started with a complete disassembly of the 280 SL and the acquisition of a 2002 Mercedes-Benz CLK 430. 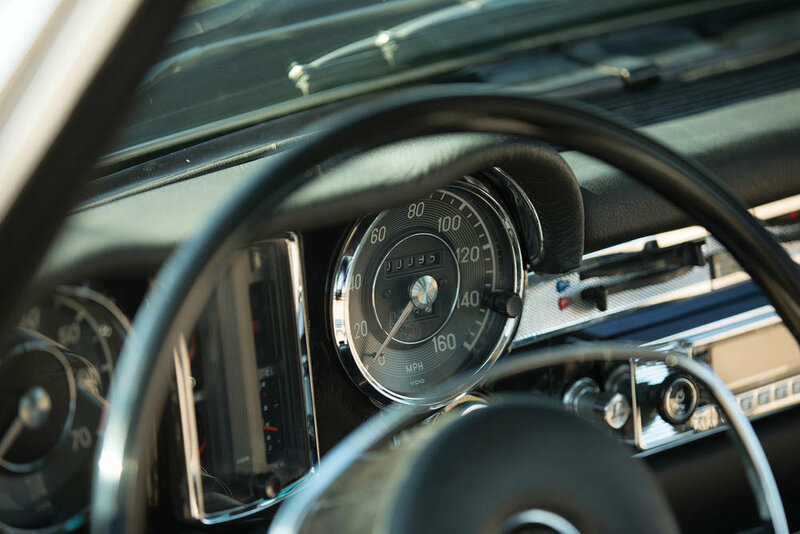 Much more than just an engine swap, the transformation of this car’s modern mechanical metamorphosis took over two years to complete. The original inline 2.8 litre six-cylinder, 168 bhp engine was removed and replaced with the CLK 430’s powerful 4.3 litre, 24-valve V8 producing 275 bhp to a five-speed automatic gearbox. The suspension system was significantly upgraded, including utilising the rear sub-frame of the 430 CLK and related suspension components. 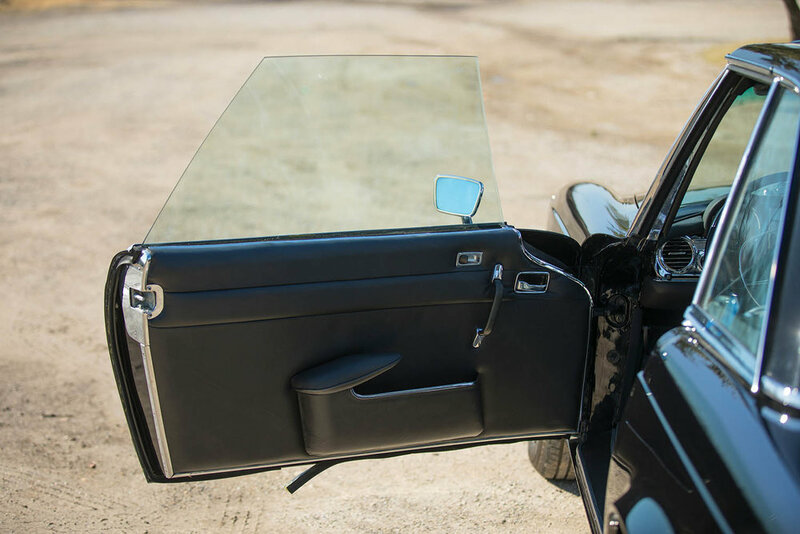 In an effort to retain the original look of the 280 SL, a set of custom-made 16 inch wheel were created, allowing the use of the factory wheel covers while making use of the 430 CLK’s effective four-wheel disk brakes. 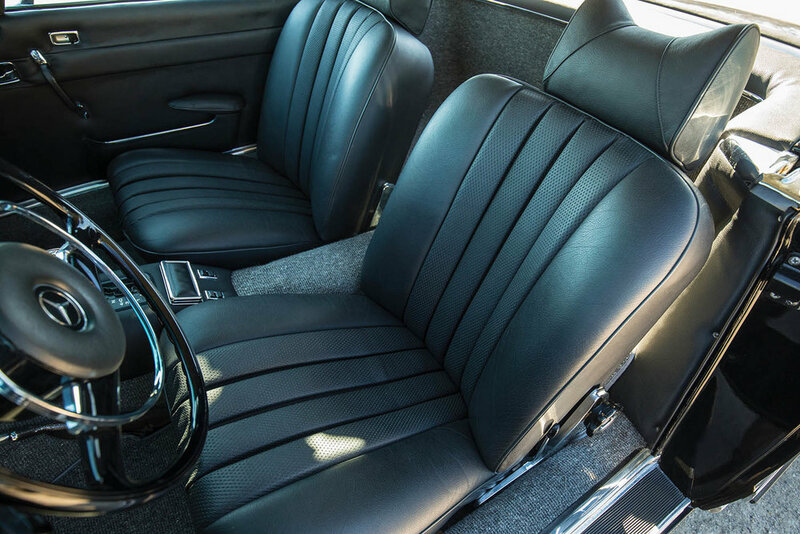 The refurbished interior features sumptuous black leather, modern air-conditioning, and Bluetooth-enabled stereo system that retains the classic look and feel of the 280 SL. 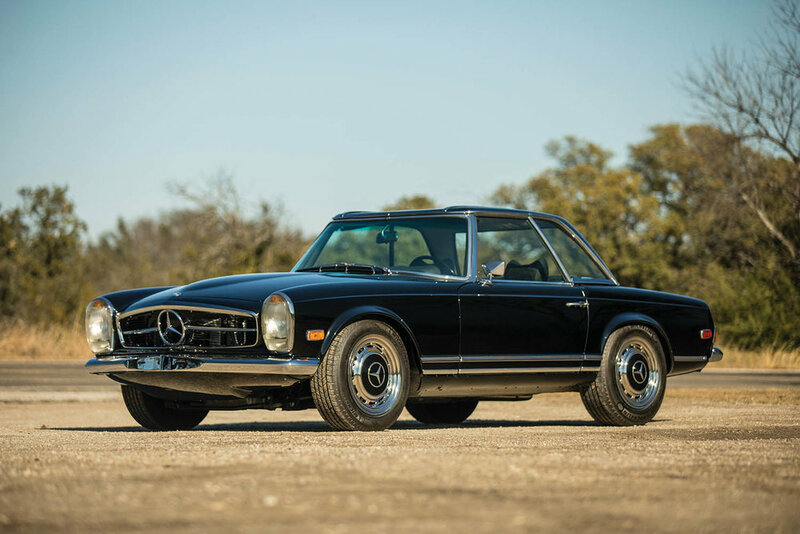 RM Sotheby's will be offering this 1970 Mercedes-Benz 280 SL 'Pagoda' Custom at their upcoming Arizona Auction on the 18th January. For more information on this and other vehicles at the sale, click on the link below. Photos: Rasy Ran ©2017 Courtesy of RM Sotheby's.